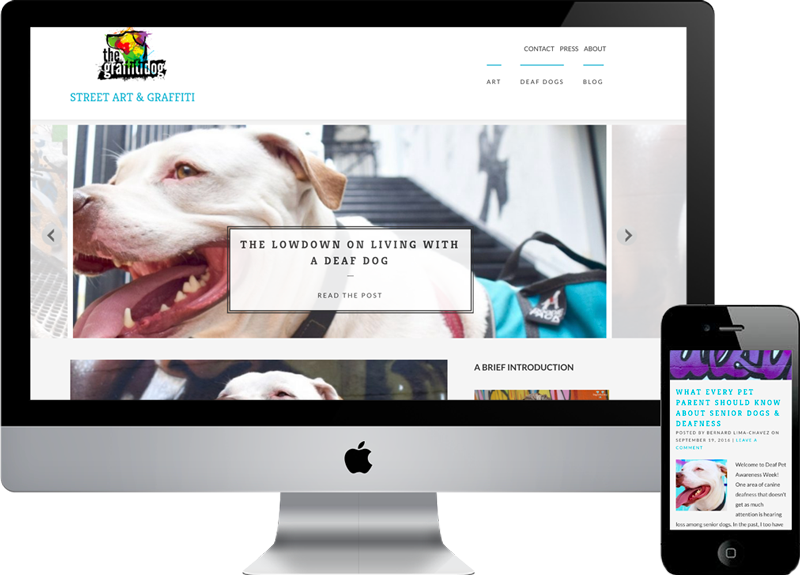 Graffiti Dog (formerly known as Dog & His Boy) had been seeing some growth in their traffic and partnerships and was ready to invest in a self-hosted Wordpress website to give him more opportunity to become a brand to be reckoned with. After being on a hosted Wordpress platform he felt his growth, SEO and marketing potential was limited and the design he had was not doing justice for his brand. The new website features all the bells and whistles including social integration, easy back-end management and mailing list functionality. Because their blog is so art focused and they are active on Instagram and Facebook we wanted to put a core focus on the social aspect. By integrating a social stream feed they are now easily able to showcase all of the art they find right on the website without the need to post every single item to the website. This feed offers a level of engagement and has helped grow their social following. Below is a picture of the blog before the redesign. 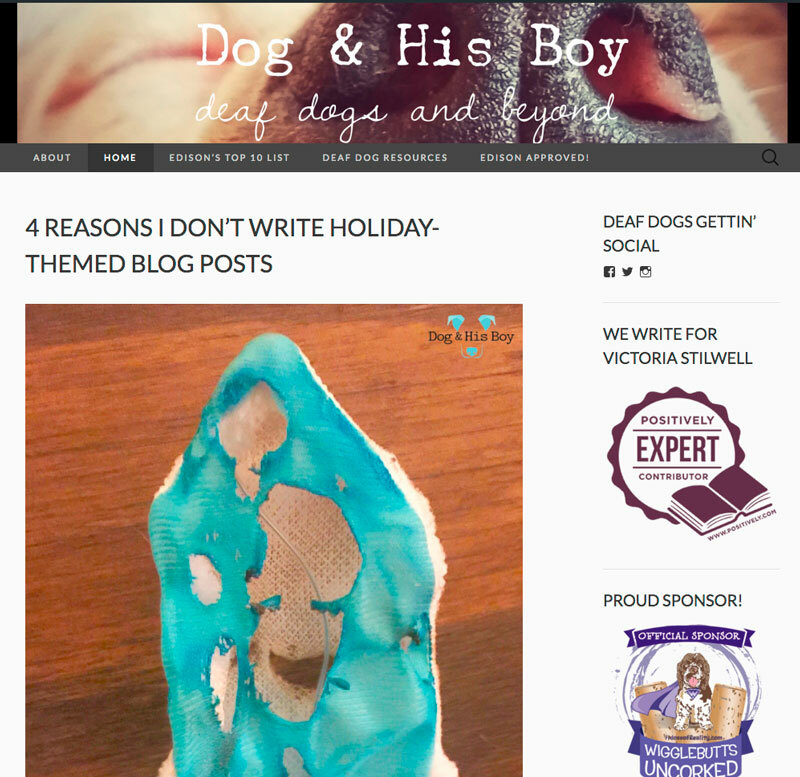 Without the "wow" factor and the focus on the art the blog was lacking in any real engagement and lacked a "brand" component the blog owner needed.